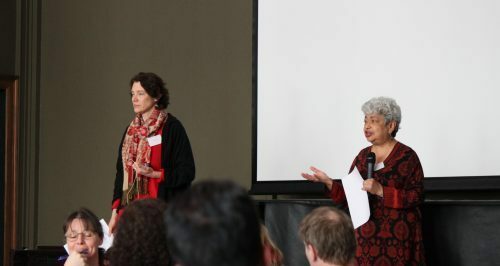 Last week, cCHANGE welcomed renowned leadership development practitioner and expert and author of ‘Radical Transformational Leadership: Strategic Action for Change Agents’, Dr Monica Sharma, to Oslo to lead the first of three sessions in the workshop series ‘Transformational Leadership for Sustainability’. This workshop series aims to equip people working in sustainability with the skills, knowledge and awareness to shift unsustainable systems and cultures. We were delighted to welcome fifty participants from around the world for an intensive and engaging first session where we explored assumptions, values, beliefs, worldviews and challenged our previous notions of effective speaking and listening. In this first 3-day session, Being Change, participants were encouraged to explore their own inner capacities – the values, internal conversations, and narratives present in every single individual that guide their thoughts and actions. Monica showed us how all humans have universal values that underpin everything we do and care about. She asked the participants what they wanted for themselves and others for the future. By becoming aware of which personal values we hold most dearly, we can tap into our power and energy, and change the way we approach everyday projects and tasks. Leading sustainable transformations will require us to work in a different way. It is not about changing what we do, but how we do it. The participants were given tools and exercises they can apply in their everyday lives to help them do this. Many participants had valuable insights into its potential for their work. 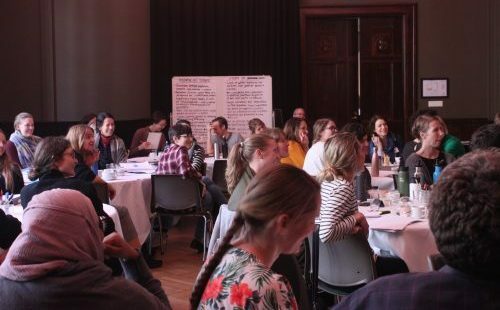 We began exploring our potential as leaders of transformation to sustainability in this first part of the workshop series, and will continue in June and September when we return for sessions 2 and 3: Designing Change and Leading Change. This workshop series was made possible with support from TeknaKlima and the US Embassy in Oslo.